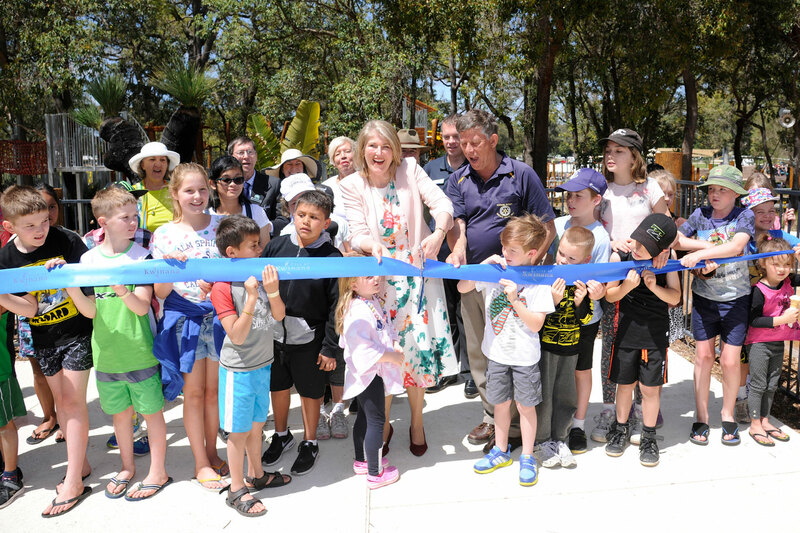 The Adventure Park in the City of Kwinana had its official launch on Sunday the 16th of October 2016 opening its gates to thousands of eager children and adults. 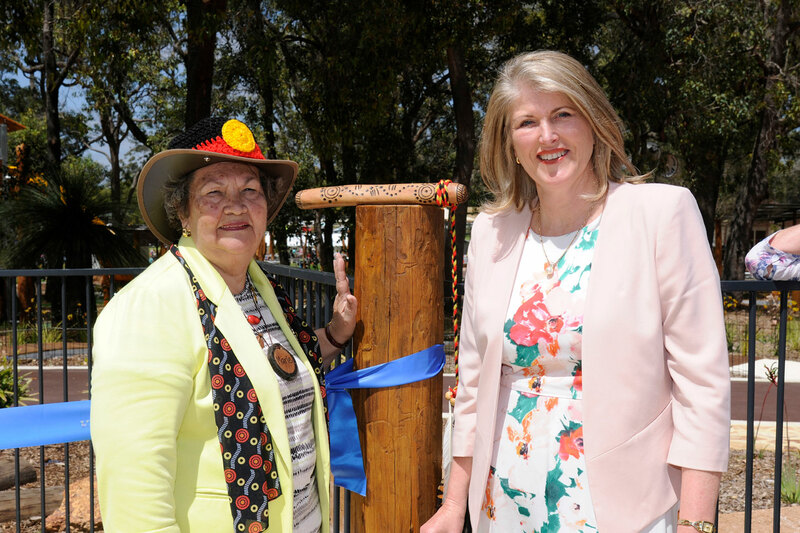 Starting at 11.00am the ceremonial Welcome to Country was delivered by local resident and indigenous elder Marie Taylor followed by an official ribbon cutting led by the City of Kwinana Mayor Carol Adams and 20 or so local children. 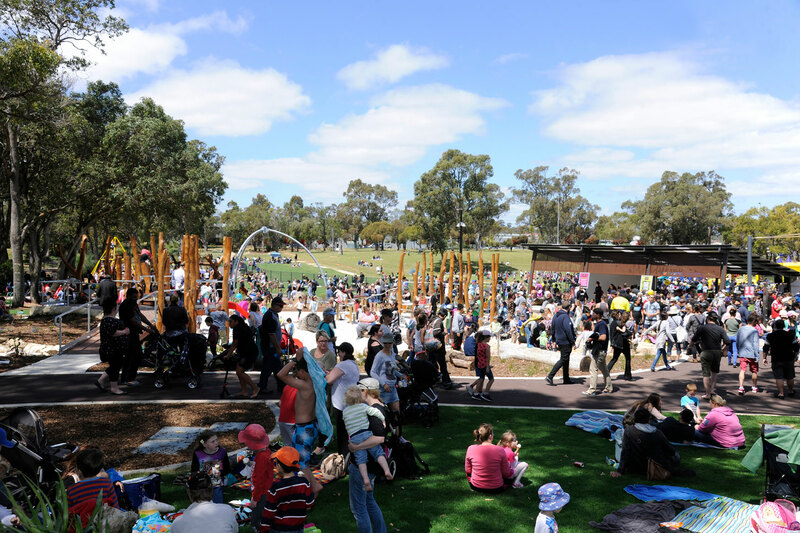 The ceremony was also attended by Cockburn Mayor Logan Howlett, members from the local Rotary Club who instigated the project and hundreds of interested community members. 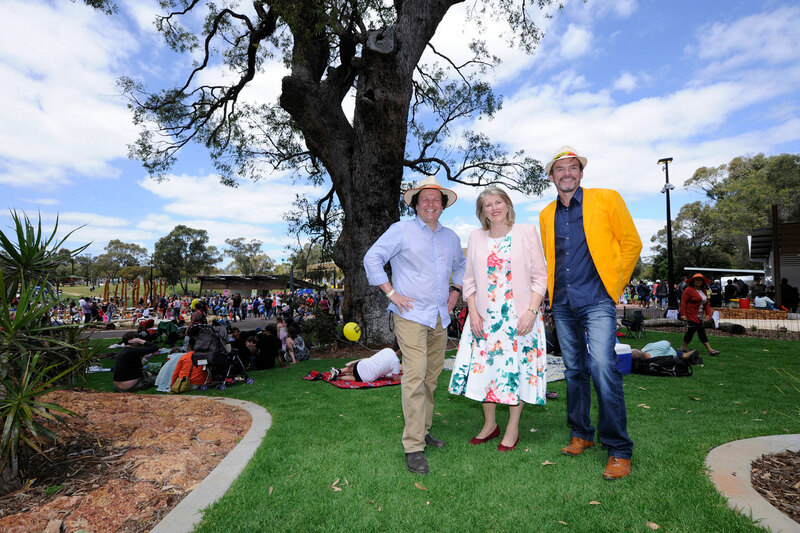 Expecting the largest crowd to ever attend the city centre, the City of Kwinana organised food, drink and play activity stalls, which spilt out onto the surrounding Calista Oval and the Adventure Park car park. The $5.2 million Adventure Park was designed by JBA and Jeavons Landscape Architects, and was built by Environmental Industries. 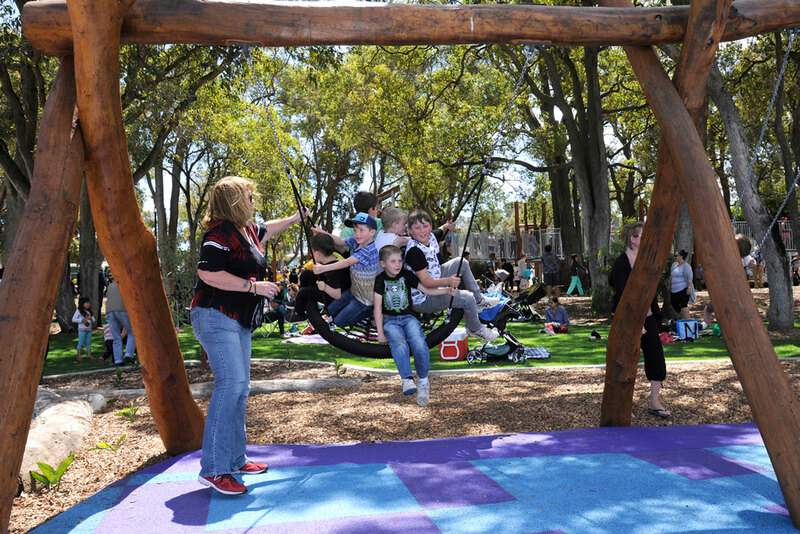 JBA worked closely with City of Kwinana staff to design the park with the existing natural environment in mind, combining elements of nature, water and earth to create an experience that is unique and inspiring. 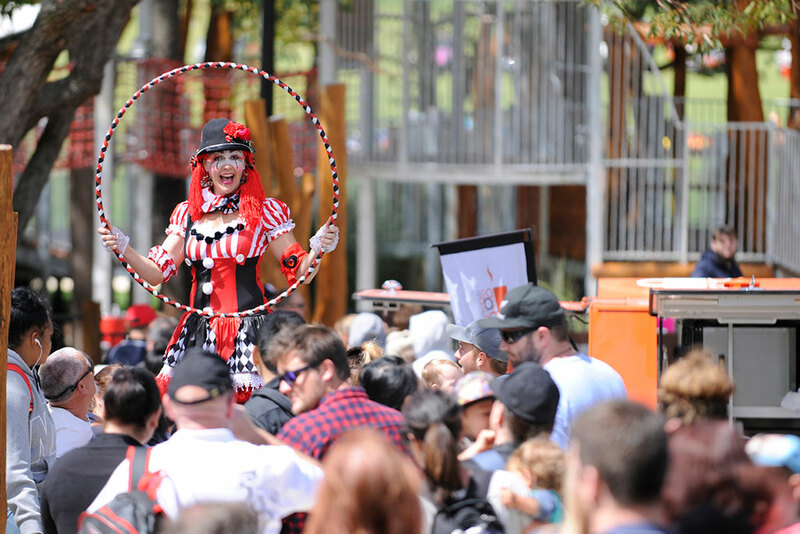 The Adventure Park is a fully inclusive and accessible space created for people of all ages and abilities. To see the latest photos of the Adventure Park see our Play Spaces Projects Page or for further information on JBA’s play space design services call 08 9433 3721.